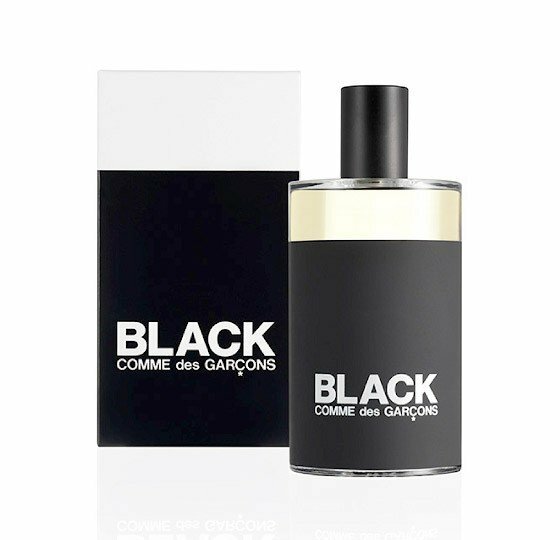 Black Comme des Garçons is a popular perfume by Comme des Garçons for women and men and was released in 2013. The scent is smoky-spicy. It is being marketed by Puig. No food, no. If I wanted to smell of food, I could go to the kitchen and cook with the window closed. The smell when the birds migrate and the cold slowly returns. Then a leaf fire in the garden with grandma. Leather and liquorice... actually on my please-not-page. But exceptions confirm the rule, or ? I wonder if women can wear this black too Anyone can, of course! It suits me, even though the other might not see it that way. Didn't the "Man in Black" at the entrance to the fragrance consumption recommend "Tresor in Love" by Lancome to me years ago with a wink. He'd suit me very well! Thank you, but no thank you! Then you'd better have leather and liquorice, but only in exceptional cases! This is a fragrance I love because it challenges me. Whenever I find a fragrance like that I am always pleased. The house of Comme des Garçons is one which always pushes the limits and is able to challenge people's noses. I really admire them for that. So the fragrance... to me this has spices and leather, liquorice & incense, and a heavy dose of birch tar. Personally, what comes to my mind when I smell this is the smell of a spice market full of busy people. In a busy street. I used to live in Cairo and at different times I used to remember the exact smell of a market full of all kinds of spices... cumin, caraway, black pepper, cinnamon, aniseed, paprika, cardamom, all sitting in sacks by each store. Sometimes because of the busy street you would find a man on a motorcycle pass by you, bringing the smell of the street with him (petrol, black engine smoke, engine oil ) and I would smell the black tar on the road which had melted in the hot sun. So many smells which rush in my imagination from all directions when I wear this one. Personally, I don't agree when people say this is "unwearable". There is no such thing. I agree that this could smell challenging to some people, but to me I feel right at home! I would happily wear this. It's not too strong, it stays on the skin for a long time but it doesn't project to people in an offensive way. I think people who smell this on you would be intrigued and interested to find out this smell. I think that if you are a person who likes "interesting" or challenging fragrances, and who wears a fragrance for yourself, and not to "please" others, then you will enjoy this one. Personally I enjoy it very much, and it fires my imagination. Well done CdG! Black by Comme des Garçons is a woody licorice treat. My first thoughts are of Halloween candy and just as I wait for the sweetness- I realize, I have been tricked! Good Show! Dry, sugarfree, earthbound, fairly-traded (?) and masculine-leaning. Black gently takes my hand as offers to show me the city- I get a reality check dose of hot-tar-on-the- sidewalk note blended with a piquant fresh cracked black pepper on a base of smoky vetiver incense, just as promised by the name. This is in the same olfactory family for me as a scent-memory of shopping/walking in a heat-induced trance, in the galleries and kiosks of Ubud, Indonesia in the sedate radiant warmth of September, listening to the chime of Gamelan music. This is a passionate high energy scent for the evening on both men and women. Yet there is something dry ancient and artifact like about the wood note that is soothing and wise. Personally, I want my closets and house to smell like this in the Summer heat, instead of like Great Pyrenees. If you like fragrances like "Wonderwood" and "Hinoki", you should try this one. I would call this unique within that tight genre- and I would feel compelled to turn around and ask a gentlemen what he was wearing...but have to expect a sly wink and a silent kiss blown to me instead of an answer. Be sure to leave an appropriate offering of dragon-fruit for the guardians of the Monkey Forest before your evening dip in the cool lotus pond pool.